At Premier Heating and Air, we have the right heating and air conditioning products, including refrigerants, filters, water heaters and testers for your Denver-area home or office. When looking to buy a new air conditioner, choosing the right AC for your home has a lot to do with sizing. We have some of the latest technology in the field to make sure that we get it right. With so many options and information out there it can be confusing as to which system is the best for your home and needs. Here is some information to help explain what options are available. If you are buying a new furnace, we have all the high-efficiency brands in one location for you. Efficiency is determined by the percentage of fuel utilized to heat the home and the rest is waste through the exhaust vents. 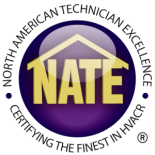 We carry all brands of high efficient tanked and tank-less water heaters. We can handle all of your water heater installation needs! We offer the best in indoor air quality, making your home healthy again. Contact us if you have any questions about our products or HVAC services. Ask us about our service memberships that can save you a ton of cash and keep your HVAC serviced and running smooth.